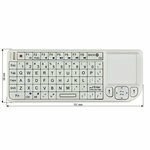 Full function wireless ultra mini keyboard with touchpad, laser pointer and built-in lithium-ion battery. 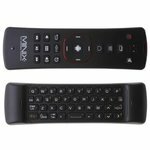 A 4-in-1 device: wireless keyboard, wireless mouse/RC, speaker and microphone. Air Mouse function offers gesture control.